One of the many things that needs rethinking in the 21st century is our understanding of education. The 3 R’s – reading, writing, and arithmetic may soon be insufficient to outline the basic skills required to navigate the world. A proposed amendment to the age-old phrase, a fourth phonemic R if you may, is writing code. 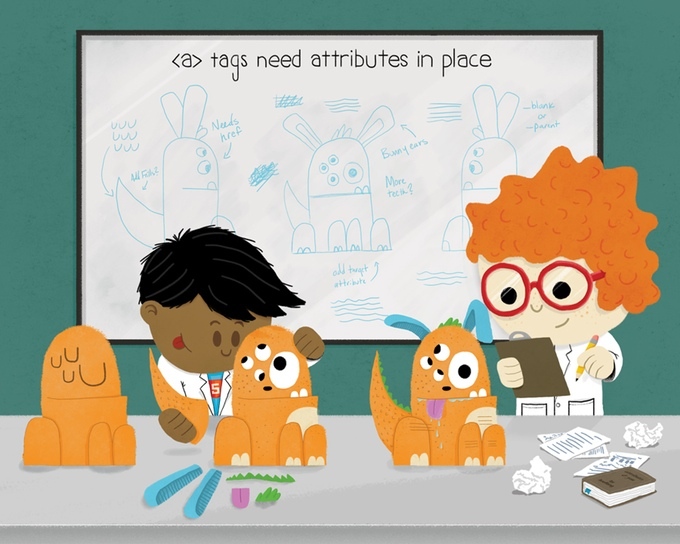 Luckily, someone has designed and is trying to distribute a children’s book that teaches the HTML basics. It’s called The Wonderful World of Creatures and Code. The campaign was created by Mnemonic Productions, run by Amie Pascal and Heather O. Petrocelli. The duo specializes in editorial, historical, and interactive projects. 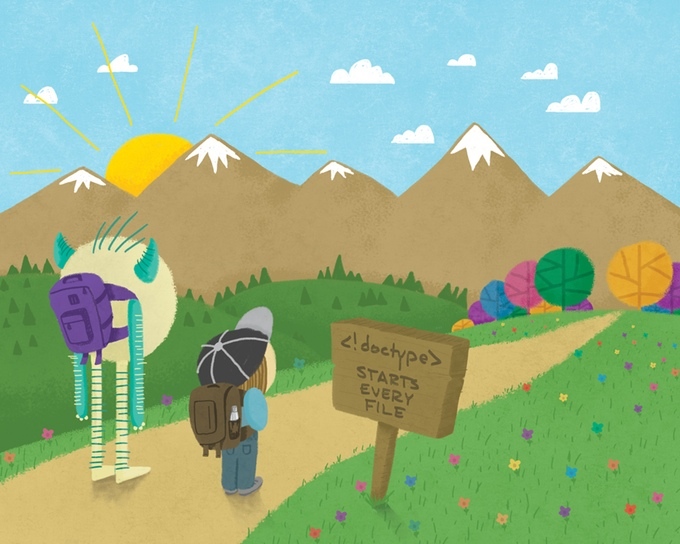 The Wonderful World of Creatures and Code will be a full-color hardcover picture book that introduces kids website coding basics. Twenty six HTML tags are covered in the book in total, including <!doctype>, <br> tags and ordered vs unordered lists. A lot of the content has been written in rhyme, which apparently dramatically improves a child’s ability to comprehend and recollect things they’ve learned. 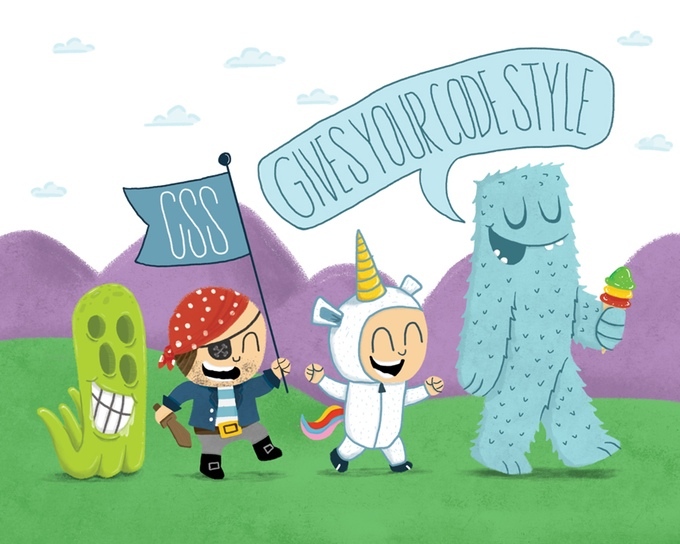 Accompanying the hard HTML concepts are illustrations which are as much functional as they are aesthetic. They’re also offering stuffed animals based on the characters and a contest for three lucky children to get themselves written into the first edition of the book. The picture by Mnemonic Projections won’t actually be the first in its category. Books like Hello Ruby and collections like those by Code Babies are also based on the same premise. Besides these, there are also a number of websites and applications targeting the precocious toddler market. Scratch by the Lifelong Kindergarten Group at MIT’s media department takes a graphical approach to conveying programming concepts. It can be used to create basic animations and interactive stories which can be loaded into the program through modular elements represented as blocks. Though it’s aimed at a young crowd, Scratch can be used to undertake advanced projects like event-based programs and building an OS. Mozilla created WebMaker in 2012 in partnership with the San Francisco Public Library, Creative Commons, and Tumblr. WebMaker focuses on using web-based languages to spread code literacy among users. It’s unique in that it emphasizes the use of mobile devices over desktops to write programs. To that end, is has been made available only in the Android Play store. As of today, literacy equates to the ability to read and write in a contemporary language. That definition is likely to undergo revision as our dependence on digital devices grows. And though some may object to the academic imposition, it needs to be understood that programming literacy isn’t just for programmers, in the same way that knowing how to fix a pipe isn’t just useful to plumbers; concepts like systematic thinking and problem solving techniques are beneficial universally. WWoCC is trying to raise $25,000. With 11 days to go, they’re 90% of the way there. Baby steps.